You and IBM IndiaIBM's Purpose is to be essential to our clients, to the world and one another and we are confident that together as IBMers we will drive this purpose. When you join IBM you join a culture of openness, teamwork, trust, and the invitation and expectation to have a voice. We are recognized gold standard for inclusion, reflected in winning, to name a few, the 2018 Catalyst Award for advancing women in business, the National Award 'Best Employer of People with Disabilities' and being named one of the top 5 2018 Top Companies for Women Technologists for building an inclusive work environment — We advocate for fairness and equality as everyone is, and always has been, welcome at IBM. Join a brand with a history of continuous re-invention, transforming itself throughout its 100-plus years. In the past five decades alone, IBM has ushered in the eras of the mainframe, the personal computer, IT services and enterprise software. In its current transformation, IBM is once again leading the reordering of the technology industry. Business Unit IntroductionOur Cognitive Process Services (CPS) business provides offshore, nearshore and onshore solutions to Client across industries and geographies, with various streams under F&A (Finance and Administration), Record to Report (R2R), Procure to Pay (P2P), Order to Cash (O2C) Financial Planning and Analysis (FP&A), Recruitment Process Outsourcing (RPO) HR/learnings and Integrated Source to Pay Operations. Today we partner with some of the largest corporations in India to transform their business processes and become more efficient. What differentiates us in the market place, is our dedication to service quality and customer success. Join us and Do your Best Work Ever. Who you are: As Senior Practitioner – Procure to Pay (P2P), you are responsible for invoice processing, vendor master management, Query resolution, indexing and Invoice reconciliation. Involved in Vendor master creation, changes, verification and cleansing. Identify the duplicate records for the Vendor Master Maintenance Invoice receipt, verification and processing accurately and timely. You will be a part of Compliance to SOX – e.g. documents to be posted after due Approval. You will have to handle manual and automatic payment requests. Processing of travel and expense claims, payments, duplicate payment resolution and recovery and verify and run payment proposals. Would be involved in handling queries for vendor statement reconciliation through calls and emails. We, at IBM, always believe that it is extremely important to have the right person for the right job and you are a perfect fit to this strategy. We want people with the ability to learn; who are ready to put good ideas into action – We wish you great success in your career and encourage you to bring your best self to work with IBM. Of misleading advertisements and fraudsters issuing 'Offer Letters', on behalf of IBM in exchange for a fee. We recommend you to Stay Alert. Read more here http://ibm.co/2fwBkyK. 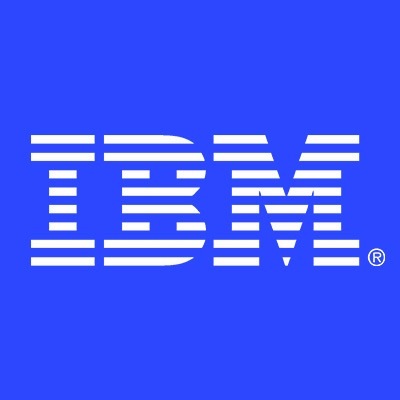 To avoid any instance of fraud, when receiving communication from IBM, look for this authentic IBM e-mail format: XYZ@in.ibm.com.CultureIBM is committed to crafting a diverse environment and is proud to be an equal opportunity employer. You will receive consideration for employment without regard to your race, colour, religion, gender, gender identity or expression, sexual orientation, national origin, genetics, disability, age, or veteran status. We are committed to compliance with all fair employment practices regarding citizenship and immigration status. Minimum 2+ Years of experience in Accounts Payable. Experience in invoice and vendor management along with resolving queries, and Invoice reconciliation. Proven work knowledge to manage payment reporting and reconciliation activities. Ambitious individual who can work under their own direction towards agreed targets/goals. Maintain technical knowledge by attending educational workshops, reviewing publications.